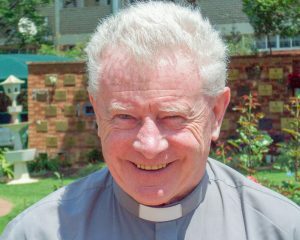 Fr Ronan Byrne (CP), a Passionist, was appointed the first Parish Priest for Bryanston and began his ministry on Easter Sunday 1967. Until then, Fr McNab (OMI) travelled from Rivonia to celebrate Sunday Mass at Brescia House. Initially, there was no accommodation so parishioners Jim and Pat Maddison hosted Fr Ronan. He later moved closer to the church site and was accommodated by Carl and Deidre Pingle. Deidre became the first Parish secretary while Carl studied and was ordained as one of the first married Deacons in the Diocese. As Parishioner numbers grew (some 350 families), the need for a church became apparent. On the vacant property adjacent Brescia House, the church was built for around R220,000. On 13 November 1977, the new Bryanston Parish Church of the Resurrection was solemnly blessed and dedicated by the late Archbishop Joseph Fitzgerald (OMI). It was built to seat 400 worshipers. Fr Kieran McIvor (CP), who worked at the Diocesan Marriage Tribunal, came to live at the Presbytery with Fr Ronan in 1982. He has, over the years, become very involved with the parish and at stages assumed the duties of temporary Parish Priest. He eventually retired from the Tribunal and settled in KwaZulu Natal. His long association with the parish has endeared him to the hearts of all and we proudly shared in celebrating his Golden Jubilee of Priesthood in 1997. In 1983, sadness befell the Parish with the untimely death of Fr Ronan. Fr Adrian Kelly (CP) was appointed the Parish Priest from 1983 to 1990. He oversaw the development of the church grounds including establishing the Garden of Remembrance and building the Parish Centre. In 1990, Fr Adrian returned to England and was only there a short while before becoming seriously ill. He passed away at home in Ireland shortly thereafter. His special place in our hearts is commemorated with a plaque in the Garden of Remembrance. Fr Brian van Zeil and several other acting Parish Priests served the church from September 1991 to August 1993. In September 1993, incumbent Parish Priest Fr Michael Fitzpatrick was appointed to minister to an ever-growing parish population. To house the larger parish, which had exceeded 1,600 by the late 1990s, a new church building was commissioned and completed in 1998. On 20 September 1998, Bishop Ormond solemnly blessed and consecrated the new church. The old building found new use through renovations to convert it into a beautiful new church hall, completed in 2002. It has made a substantial difference to the Parish and has hosted many functions over the years, including monthly senior parishioners teas, fundraisers, meetings and book clubs. 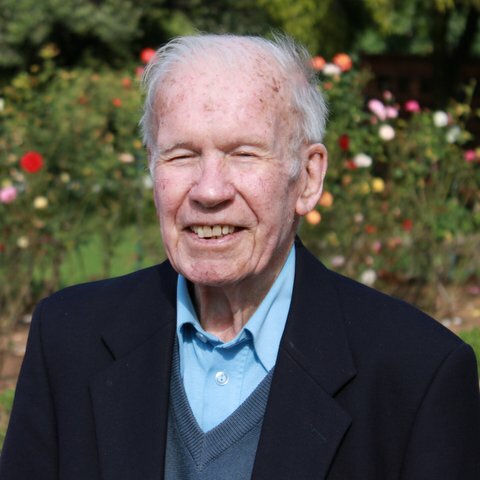 Following the death of Fr Michael on 22 June 2014, Fr Keith was appointed as parish priest. Many societies and services have been formed and become active over the years from the Parish. Liturgy in the Parish is alive and well with ever-increasing parishioner participation in church activities. Families of the Parish also continue to grow each year, from their humble beginnings in a school chapel to close on 3,500 registered families today. It has been a long road so far that has truly been blessed by our Lord. With His grace, we continue to grow and prosper as a strong community that serves others in meaningful spiritual and life-fulfilling ways. May we continue to do so for years and generations to come. Bryanston Catholic Church. Standard Bank Fourways Crossing. Branch code 009953. Account number 023390425. PO Box 68360, Bryanston, 2021 South Africa.